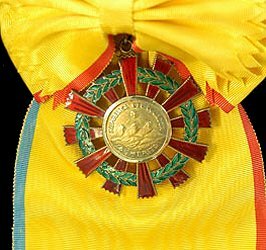 Ribbon: Yellow with one blue edge and one red edge. 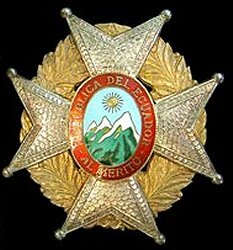 Awarded: For extraordinary achievements rendered to the nation, civil or military. Grades: 6 (Collar, Grand Cross, Grand Officer, Commander, Officer and Knight).